I once read somewhere that black nail polish is like light pink's darker, more dangerous sister. Both are classic colors and versatile ones at that. No matter if you're wearing them at work or on the weekend, a subtle light-pink polish or a chic inky-black color just works. While I appreciate a classic soft-pink shade (like Essie's iconic Ballet Slippers, $9), I find myself straying toward the dark side of nail polish. I think it's because my makeup and clothing style are already pretty subtle all on their own, so I crave something more dramatic on my fingertips, especially when it comes to fall and winter. In fact, just last weekend I was texting Byrdie's assistant editor, Erin, asking if she had a bottle of black polish to spare after I realized, much to my chagrin, that I was completely out. So as a consistent wearer of black nail polish, I encourage you to embrace the darker side of your nail polish collection by adding a bottle (or two) of an ink-colored lacquer. Keep scrolling to see the 10 best black polishes, ranging from classic black to glittery onyx. 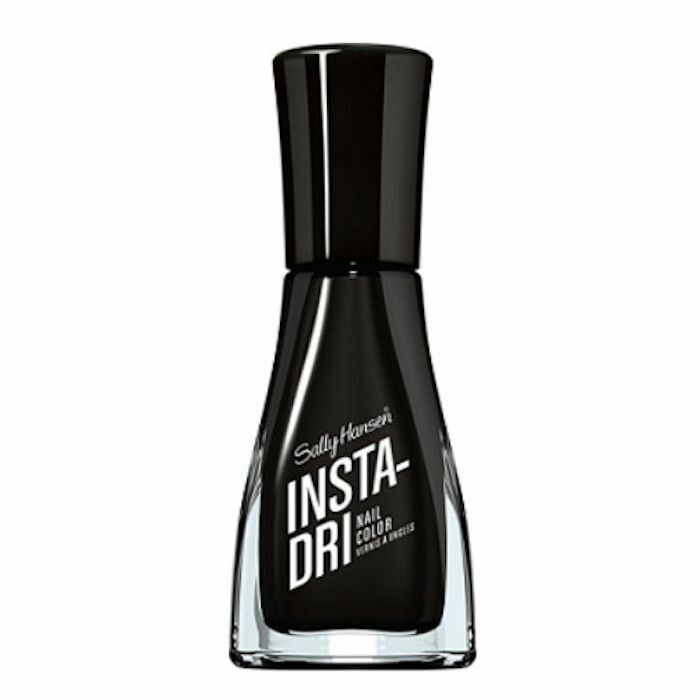 Byrdie's editorial director, Faith, names this Jinsoon polish as one of her all-time autumn favorites. 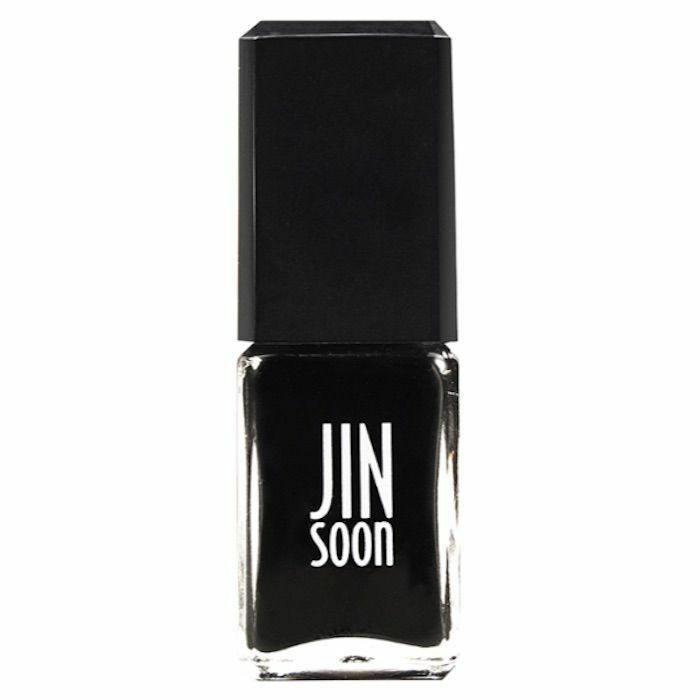 "This new polish from Jinsoon's Monochrome collection is the inkiest, shiniest black nail polish I've ever seen, which makes it perfect for moody fall days," she says. 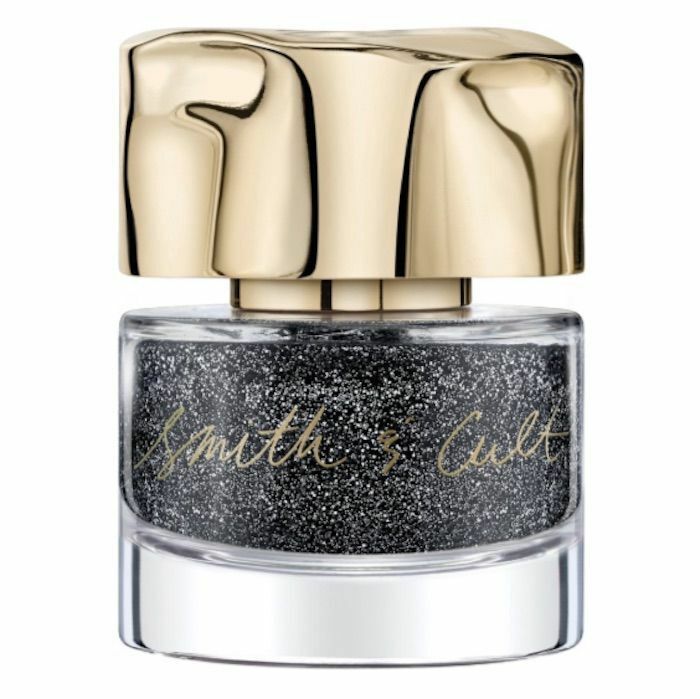 I've had this Smith & Cult polish in my medicine cabinet for over a year now, and I love it just as much as the day it first came across my desk. It's far from a traditional black thanks to the fine silver glitter suspended in an obsidian base, yet I'm often drawn to it since it's both luxurious and edgy. I imagine it's something Cara Delevingne would wear in a Yves Saint Laurent ad. This Nars product is like a combination of the two aforementioned polishes. Much like the Jinsoon one, it's contained in a chic square bottle and features a base of inky-black lacquer. Like the Smith & Cult pick, it contains fine silver glitter. It's a nail polish that I never get tired of. By the way, there's a matching Night Breed Eyeshadow ($22) that I recently had the opportunity to play with, and it's the dreamiest smoky eye shade I've ever come across. For a trusty black nail polish at a drugstore price, we recommend this one from Essie in the shade Licorice. It's shiny and inky black like black licorice is in real life. The best part is that it's only $9 per bottle, so you won't feel like you have to save it for something special. Replacing it won't break the bank. Here's a manicure horror story for you. You spend 15 minutes painting the nails on your right hand with your shaky left hand. The result is so perfect, it looks professional. After a couple of minutes, you go to answer an email. Just a couple of words into it, you've smudged your nail polish, leaving it all over your hand and your keyboard. That's why we reach for a fast-drying formula if we're short on time. This one from Sally Hansen has a built-in base and top coat. 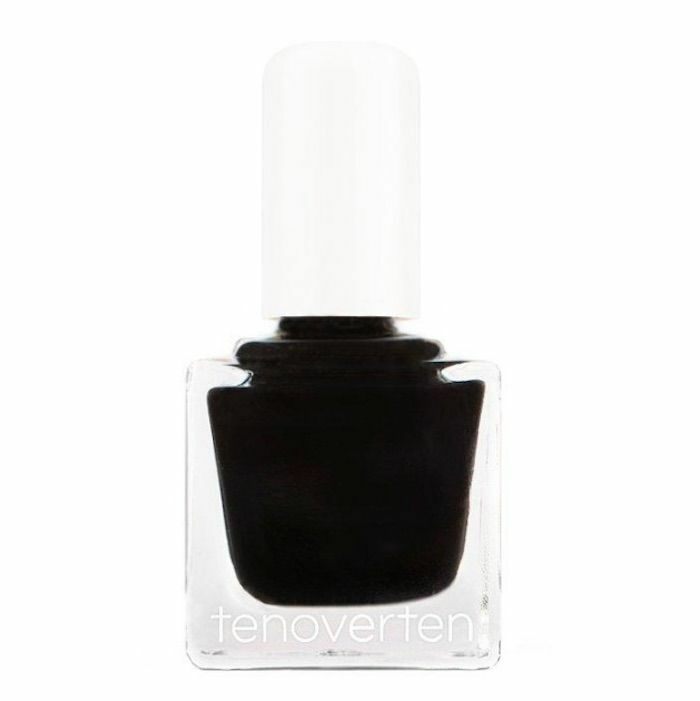 Tenoverten's nail polishes are free of eight potentially harmful chemicals traditionally found in other nail formulas (that includes icky ingredients like formaldehyde and camphor). On top of being non-toxic, they're also cruelty-free and vegan. This shade of black is called Bond, an apt name for a slick and sophisticated ink color. Speaking of nontoxic nail polish, Zoya is another trustworthy brand we often turn to. As far as black polish goes, it has a number of different shades, including some that are glittery and textured. We like this color, called Claudine, which is black with a fine gold shimmer. It's dark, warm, and insanely chic (black-and-gold nails are our favorite). If slick and shiny black polish has been your go-to for years (like it has for me) and you're itching to try something new, then reach for a matte shade like this one from Orly. It dries down to a flat black with no mattifying top coat necessary. Sometimes you want to paint your nails with a glitter polish, but then you think of the subsequent removal process and you decide not to. At least that's how it goes for us. What can we say? Glitter polish removal is a long and arduous process. That's where Butter London comes in. 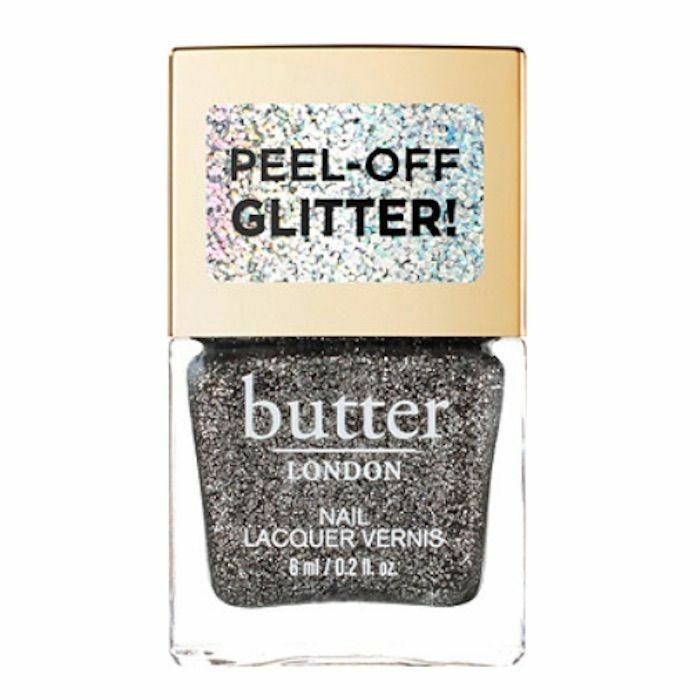 The brand has created a peel-off glitter polish, so there's no acetone required. Just pick at the edges until you get a piece big enough to pull. That's it. It's easy and extremely satisfying. 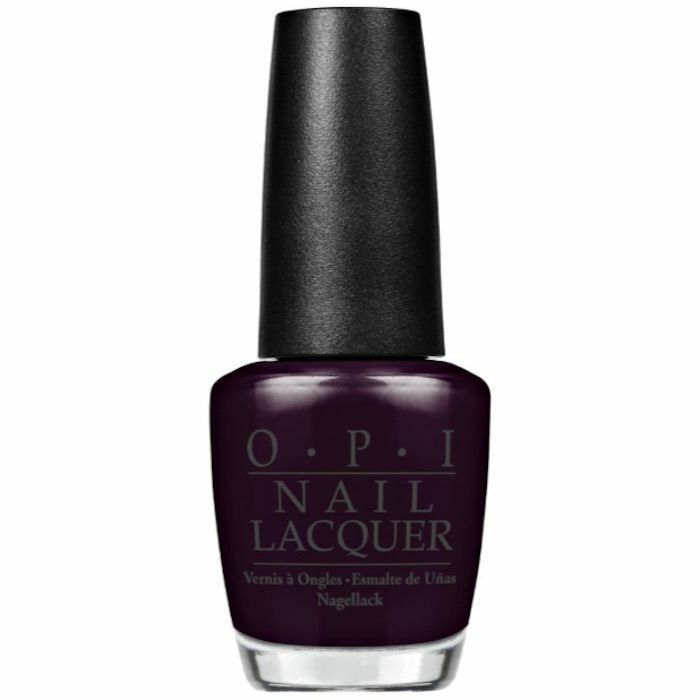 OPI's Lincoln Park After Dark is an iconic shade. It's equal parts blood red, plum purple, and inky black. It all depends on the light you're in. This vampy shade has been a personal favorite for years. It's also a favorite of Byrdie's assistant editor Maya, who says, "I don't think a single fall has gone by without Lincoln Park After Dark on my nails. It's the sultriest purple shade I've ever met and I feel like a complete badass when I'm wearing it. I love deep nail colors against my dark skin. This is the shiniest, most opaque one I've found, and it doesn't chip for days. I've gone through about five bottles, and I barely paint my own nails. So yeah, the love is real." Paint your nails black, and then check out our exclusive interview with Kiernan Shipka, the new star of Chilling Adventures of Sabrina.